Heuchera (Coral Bells) is a wonderful foliage plant that grows about eighteen inches tall. The flowers are tiny and very delicate and grow on tall spikes. 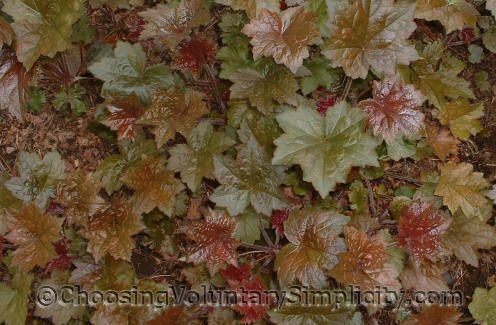 There are now several hundred known varieties of Heuchera, with different leaf colors ranging from green to red to bright orange. Many of the newer varieties also have very striking flowers. 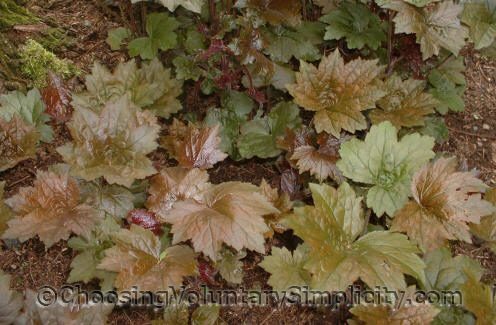 Heuchera grows best in well-drained, moist soil and in partial shade or moderate sun. They can be propagated by seed, division, or by leaf bud cuttings. I have had some very interesting results with growing new plants from seeds from an “ordinary” Heuchera, ending up with many different colors. Heuchera seeds must be stratified, which means that they must be refrigerated or otherwise put through a cold period lasting at least six weeks. The seeds are planted on top of the soil and sprout quickly. Seed from species Heuchera produces offspring that look like the parent plant, but seed from cultivar Heuchera will give you a mixture of colors and a group of very different-looking plants. 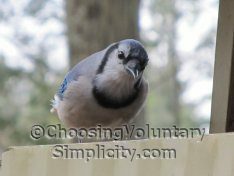 Each spring I cut off the old leaves and any growth that has become woody and replant any plants that have become frost-heaved. This is about the only maintenance they require to keep them looking lush and beautiful. I saved some seed following your directions and grew some very nice and very different colored heuchera seedlings. I’m just waiting until I can collect seed from them and do it again. I’m excited to see what I will get this time. Heucheras grow good for me the first summer but by the next spring they look all ratty and funny and never get back to looking good. I don’t think this is normal but every heuchera I have ever had does this. Karen, my heucheras look ratty in the early spring too. I cut off any of the woody growth and any leaves that don’t look good, and within a week or so the area is covered with new leaves. It’s really important to trim away the old stuff. I have found that when I don’t, the heucheras grow only a limited number of new leaves… and as you said, don’t ever regain their former lushness.